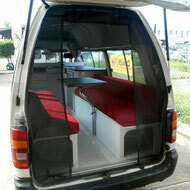 Our latest design is the all new Campino Camper- a versitale camper which you can make your own by customization. Built to high standrs. the Campino is a great value for money. 2016 Toyota Hiaces are from now on available from us- either as Campino Campers, but also for real one - off custom builds. Contact us to get best Drive Away price today. 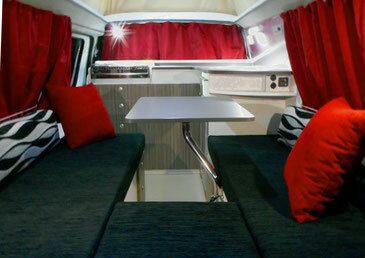 Visit our new created website www.campinocamper.com today. For all people interested into a compact camper on a very well set price. Call us today or explore the Campino Homepage- you can check prices with a real-time calculator or download the spec list.